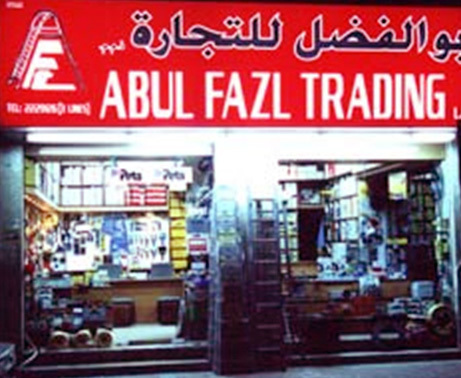 Since 1985 Abul Fazl Trading L.L.C is a Company with a proud history and practicing with Contemporary knowledge to provide quality product and service for all round growth of society and business in and around United Arab Emirates. Our specialty is stocking genuine products and providing highest services to our clients in national market as well as 35 different countries. As a Medium Sized Trading Firm which is Family owned and managed by professional with experience of Two Decades is geared up to Emerge as undisputed Leaders in the U.A.E Markets. Working Hard to provide Quality Products, Services with most Competitive Price. To be Distinctive with continuous innovation. Improve Strength on our Reputation. Always be ready for Market Diversification. Stay committed to Market Leading Quality Brands. Get a Lion's Share in the Market.